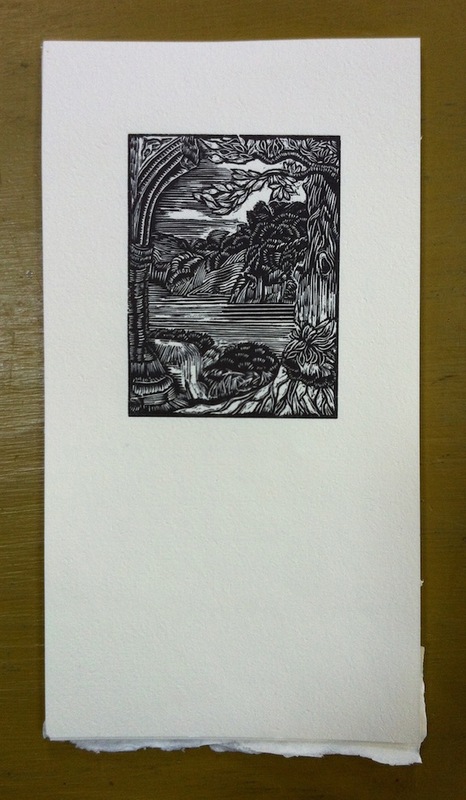 Frontispiece printed on St.Armand Old Master paper. Tintern Abbey is a summer poem, and we view it very much as a summer book, even though it was conceived in the autumn of 2008, work initiated on it in the winter of 2011 and the first copies were only available in the spring of 2012. Now, with September here again, goat skins and Japanese papers are in the talented hands of Christine McNair who is commencing work on the deluxe binding. 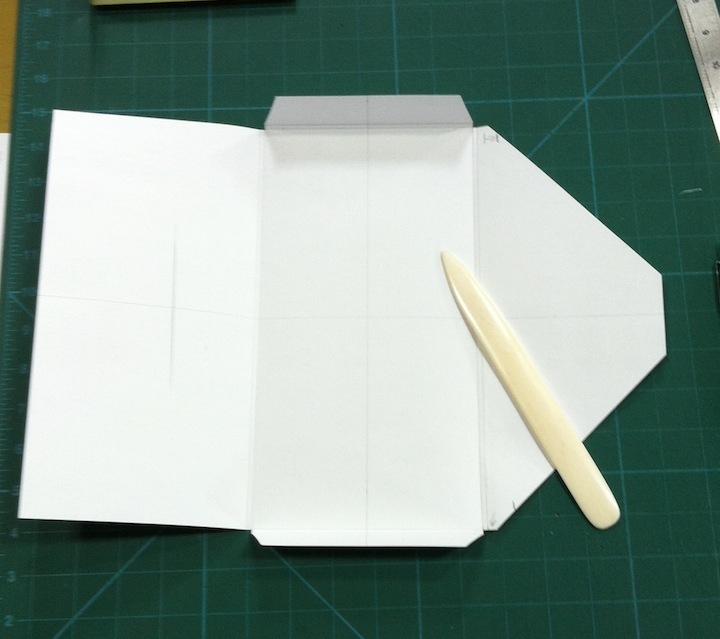 Gathering materials for the deluxe edition was an education in understanding the distinction between goat skin and calf skin, and the nuances of Japanese paper. And as the work carries on, I hope this book will bring the warmth summer with it, no matter how cold and stormy it may get in the months to come. I intend to produce another dozen regular edition copies to satisfy orders and to have some available for the Merrickville Studio Tour, happening over the last two weekends of September. 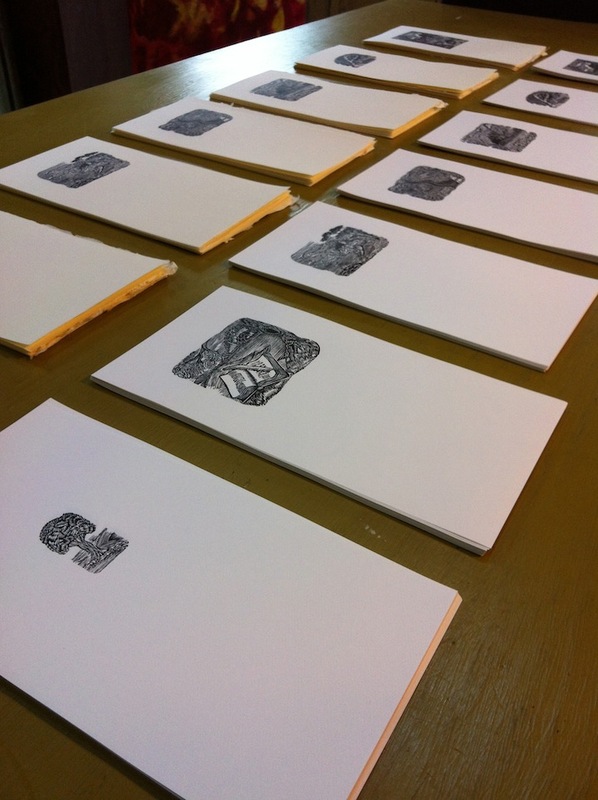 So, September will be a month dedicated to Tintern Abbey, and things got underway with the printing of the suite of engravings from the book that will be included with the deluxe edition. These were printed in a run of 15 of each of the seven engravings on St. Armand Old Master handmade paper – really lovely stuff. While I was cranking away, I printed another 20 copies on white Byronic paper, which will be sold singly, framed or unframed. The one very small engraving could have been done 2 up on a sheet, but I didn’t have another small engraving in book, so it got it’s own entire page. It’s one thing to offer prints additional to a deluxe edition; it is another to house them safely and sympathetically with the leather bound book in its slip case. I may have seemed unseemly to pounce (as I did) upon a fine press deluxe edition brought to the OPG gathering a couple weeks ago, but it contained a chemise style wrap for the gathering of prints and I was keen to see how they had done it. Mostly, it was what I had in mind: an unadorned paper folded and scored to fit around the prints and slip closed through a cut slit. For Tintern Abbey’s gathering, I’ll be using Canson Mi-Teintes, which is of a weight almost perfect for the task. 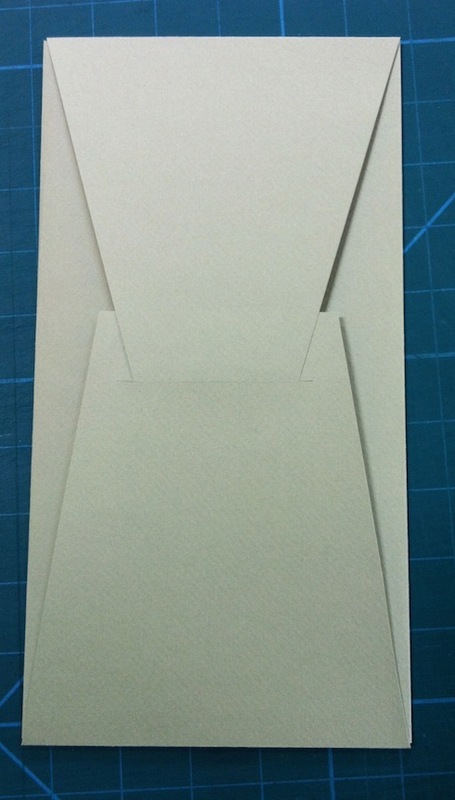 My first attempt had it opening top bottom, then side to side, but this would show the flaps along the edge when seated inside the slipcase, so the final version will have it opening from the sides, which still works fine and will look neater along side the book in the slipcase. 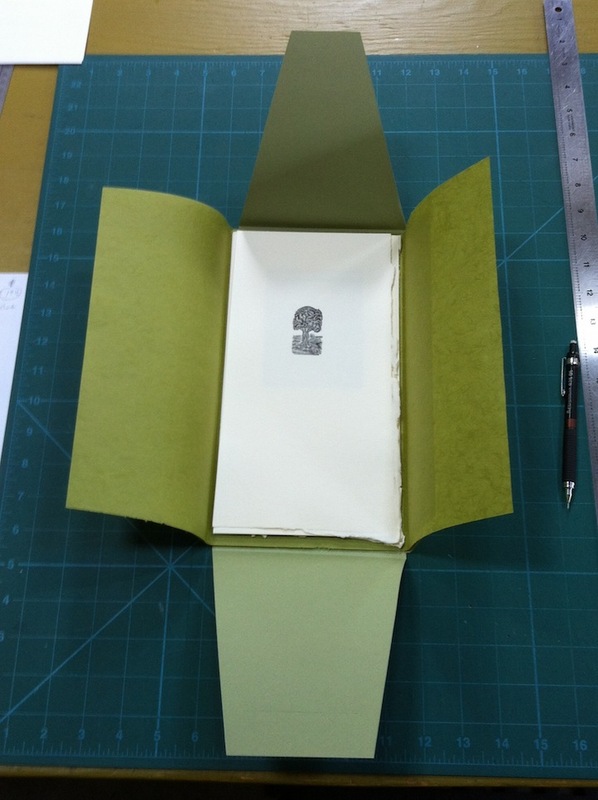 This entry was posted on September 6, 2012 at 8:53 am and is filed under Bookbinding, Books, Wood Engraving. You can subscribe via RSS 2.0 feed to this post's comments. You can comment below, or link to this permanent URL from your own site.